The Trojan Scholars Society was founded in 2012. Prior to 2012, TSS was known as the Associated Trustee and Presidential Scholars (ATPS), which was formed when the previous Trustee Scholars and Presidential Scholars merged their societies in 2003. Former USC President Steven B. Sample began offering trustee and presidential scholarships in the early 1990s. Sample’s vision was to attract America’s top high school students to USC to begin a campaign to improve the academic prestige of the university. 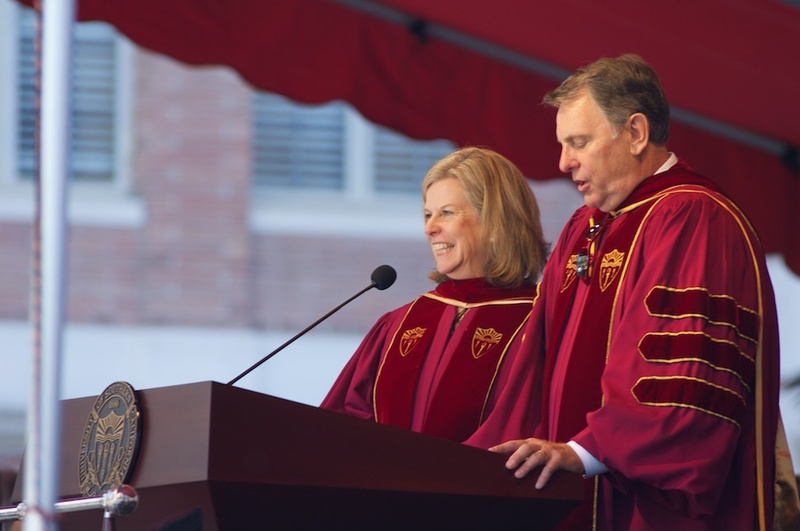 From a handful of students in 1990 to well over 1,500 scholars in 2010, President Sample increased USC’s academic ranking in the US News and World Report College Rankings from #41 to #26 when he left office in 2010. Today, USC is ranked at #23. President C. L. Max Nikias succeeded President Sample in August of 2010. President Nikias has continued on the tradition of scholarship and launched a seven-year campaign to raise $6 billion for the university by 2018, with $1 billion earmarked to endow student scholarships. In 2012, President Nikias announced two new scholarships, the Mork Family Scholarship and the Stamps Leadership Scholarship, thereby changing the Associated Trustee and Presidential Scholars to the Trojan Scholars Society. The organization is hosted within Academic Honors and Fellowships and guided by its spectacular staff. The department is part of Undergraduate Programs led by the Provost's Office. Today, the society is a vibrant community of scholars who come together for professional development, volunteering, and social outings. In 2011, TSS announced a new partnership with the USC Career Center, which drastically broadened the professional resources available to scholarship students. In 2012, the society announced another partnership with the USC Volunteer Center to collaborate on projects to help the local Los Angeles community.